Coconut macaroons are a large leap away from the petite French macarons. They are dense, chewy, and sweet. Coconut macaroons are an easy to cookie to bake and can be thrown together in a matter of minutes. To dress them up, dip the cookies in chocolate. 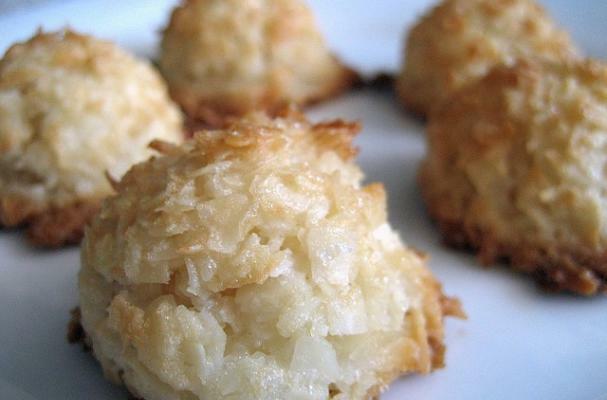 These scrumptious coconut macaroons will quickly become a family favorite.